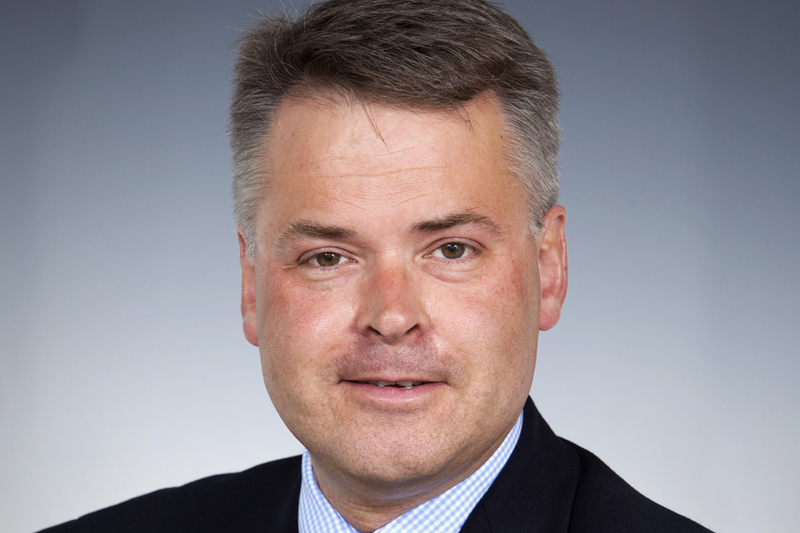 Tim Loughton explains why all private fostering arrangements need to be disclosed to local authorities. Thank you, David. And thank you very much BAAF (British Association for Adoption and Fostering) for your hard work over the past few years - for your contribution to policy development around private fostering, and for the important role you’ve played as members of the Advisory Group. I’m grateful to BAAF for the support and expertise you continue to give professionals working on the front line of children’s services: helping them to consolidate and share good practice; suggesting ways to tackle especially complex and sensitive issues; and providing training on effective multi-agency working. In particular I’d like to thank you for your awareness-raising activities - especially during Private Fostering Week - and to congratulate you on the launch of your new multi-media resources. They are the culmination of three years’ work and are a very useful, lasting, addition to the advice available on the sensitive issue of private fostering. Teachers, GPs, health visitors, and social workers - anyone who works with children - can be in no doubt, after referring to these materials, of the need to inform their local authority if they suspect, or know of, a child who is being cared for by someone other than a parent or close relative. This information will give professionals the confidence and understanding to handle such a situation with tact, firmness and sensitivity. Because it is absolutely vital that local authorities are aware whenever a child under the age of 16 - or 18 if they have a disability - is being looked after under a private arrangement, for 28 days or more. Just as we expect, and demand, that local authorities record and monitor all other fostering and adoption arrangements. Be they implemented via the state or voluntary sector. It is a simple question of safeguarding. And children who are privately fostered can include some of our most vulnerable children. I also recognise that private fostering comes in many guises. It can be a very good and positive thing if it means, for example, a friend helping someone out during a troubled period, perhaps giving a teenager and his parents some breathing space apart. And crucially, if the local authority is notified of the circumstances. In a situation of this sort, where everything is open and transparent and above board, selflessly offering a home to somebody else’s child, just like adopting, just like ordinary fostering - is one of the most powerful manifestations of the Big Society. But private does not mean secret. We are all too aware of how easy it is for the worst criminal elements in society to prey on the most vulnerable if they can find an obscure place in which to hide. And we know there are some who will not scruple to exploit a system such as private fostering, that should be based around trust and altruism. Human traffickers and child abusers won’t hesitate to take advantage of a lack of public awareness, or to capitalise on natural but misplaced sensitivities about ‘snooping’ into other people’s affairs. So we need to shine a very clear light on what private fostering means, and on the obligation to inform local authorities of these private, but not secret, arrangements. To ensure that there is no hiding place for abusers. To protect and support vulnerable children. And indeed, to protect and support the good people whose only motivation is a genuine desire to help a young person in need. And we have to encourage professionals who work with children not only to be aware that local authorities should be informed of private fostering arrangements, but that they have a moral duty to act if they believe a child is being privately fostered. Either by advising private carers that it’s in their best interests to notify, or if that doesn’t work, by taking notification upon themselves. And so, if the offer of a loving home to a vulnerable child - somebody else’s child - is one manifestation of Big Society values, a second, equally valid expression is the decision we can all take, not to turn a blind eye when something looks wrong. It’s a responsibility we all have to be vigilant - to safeguard all children with whom we come into contact. And it’s important for everybody to do our bit, to keep our eyes and ears open - to ask questions, to pay attention to what is happening around us and to be alert to the possibility that a child is in danger. Teaching and health professionals especially are in a good position to notice, query and report. Professionals must play their part, but so must all of us - because too many terrible cases of abuse have gone unnoticed, slipped under the radar, until it is too late. Let’s never forget the shocking death of Victoria Climbie, who was part of a private fostering arrangement and whose murder might have been prevented had the adults around her listened to alarm bells, joined up the intelligence, and acted on it. Victoria Climbie was an extreme case, but she wasn’t an isolated one. And if we know that a child is privately fostered, even if we think that everything is fine, we should not ignore it. For one thing, essential welfare checks must be carried out on the child. Then there are the obvious benefits to private foster carers themselves, of notification. They will be offered parenting support, as well as advice on claiming benefits to which they may be entitled. In addition, local authorities will be able to provide professional help to bring families in crisis back together again. It’s no secret that I’ve been worried about the low levels of notification on private fostering for many years now. It’s true the numbers are increasing lately, but only very slowly. And we still don’t have anything like a true and accurate figure for the total number of children being privately fostered. So we still do not have a really accurate handle on the full extent of the challenge. But we do know they fall into very broad and diverse categories - and they are often in great need. Children of different nationalities who have been sent to the UK by parents hoping to give them a better life. Unaccompanied and traumatised children who are fleeing danger in their own country. Sofa surfing teenagers who are experiencing family problems - to mention three especially vulnerable categories. So why don’t we make it an absolute requirement for private fostering to be a formally registered activity? Many of you will know this is something I have called for in the past. And I haven’t ruled out such a measure. I am keenly aware that our first and foremost priority must be to safeguard the vulnerable child - and if I am convinced that registration will help do that more effectively, then I’ll say, let’s get on with it. But I also understand the sensitivities around the issue, and the concerns that have been raised by the Private Fostering Advisory Group - so it needs careful and correct handling. Because there are many groups of children who have experienced private fostering, for many different reasons, a measure which might protect one group could possibly have quite a different, and detrimental effect on another. And the last thing we would want to do is criminalise, or force unnecessary state bureaucracy on, for example, friends who are only interested in helping each other in an hour of great need. Or who prefer to do it without payment and without too much formality. So we are proceeding with care, and the jury will remain out at least until I’ve seen Professor Munro’s final report on the child protection system as a whole, which is due out in May. One of Professor Munro’s biggest criticisms in her interim reports, is that there have been far too many well-intentioned but piecemeal reforms put together in the immediate aftermath of a crisis. Too many quick-fix, hasty solutions to problems that, when taken together, never really work properly. I am absolutely determined to get our decision-making right. And our proposals regarding private fostering will form part of a greater whole, and part of a much more cohesive strategy for wider safeguarding. But this is a tricky, complex issue and there are no easy one-size-fits-all answers that will work for everyone and every situation. Nevertheless, my intention is to achieve the right balance between safeguarding against the criminal, and supporting the good. And as this is National Private Fostering Awareness Week, let’s take this opportunity to make sure that the good intentions and good practice of the best private fostering arrangements - those that are properly notified - apply to the greater community of private foster carers. And it’s to this group of carers that I would like to hand the last word today. Because in the past week or two, as you all know, we’ve talked a lot about the great work done by ordinary local authority foster carers, and we’ve done much to encourage more people to come forward to foster and adopt. So now it’s the turn of good and law-abiding private foster carers, and those who support them, to know they are appreciated and to be thanked for the positive difference they make to many children’s lives.